How does mortgage refinancing work, and how does it compare to other renovation financing options? How can you use a mortgage refinance to get the most out of your renovation? Here’s what you need to know. Home Improvement Investments: Which Renovations Generate The Best Returns? 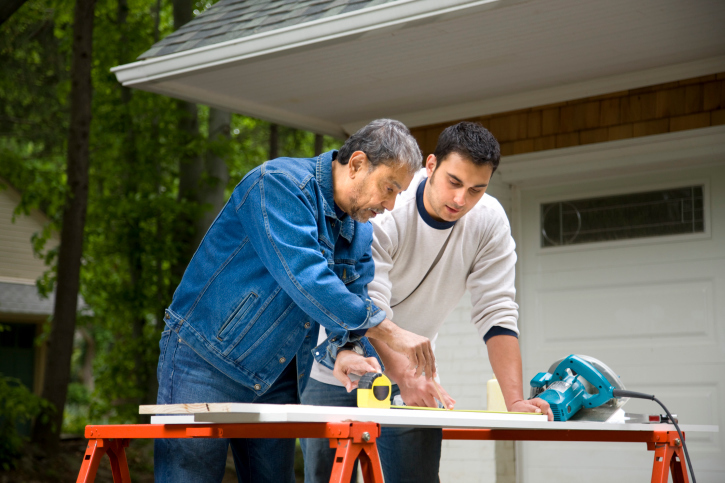 If you’re considering a mortgage refinance in order to fund your home improvements, you’ll want to concentrate on doing renovations that increase your home’s value. Otherwise, you’ll be taking on more debt without gaining anything in return. If you want to max out your return on investment, re-finishing your kitchen is your best strategy. Remodeling Magazine’s annual cost-to-value renovation analysis shows that new appliances, a new coat of paint, and new surface finishes in the kitchen generate the biggest returns. Meanwhile, swimming pools and home offices tend to generate the lowest returns because they appeal only to a select group of buyers. Financing for a home improvement project is a critical consideration. Unless you can afford to pay $20,000 out of pocket for a remodeling project, you’ll need to secure financing of some sort. Your options for home improvement financing include home equity lines of credit, renovation mortgages, and refinancing. A HELOC may not be an ideal solution, as repayment requires discipline, while a renovation mortgage (or home renovation loan) is typically used only for foreclosures and other properties requiring major renovation work. If you’re looking to simply make improvements to your existing home, a mortgage refinance is likely your best option. A straight refinance gives you a lump sum of cash that you can use to pay for renovations upfront. There’s also a “refinance plus improvements” arrangement, which can provide you with extra capital as you need it. Under this model, you can get up to 80% of your home’s post-renovation appraisal value – however, you’ll only get the money as the renovations are completed and inspected. With a straight refinance, you’re not out of pocket for any length of time. Making smart home improvements is a great way to boost your home’s value and improve your living conditions. An experienced mortgage professional can help you to find financing for those renovations without a hassle. Contact your local mortgage advisor to learn more.